Happy New Year from Your Friends at Morbid Anatomy! 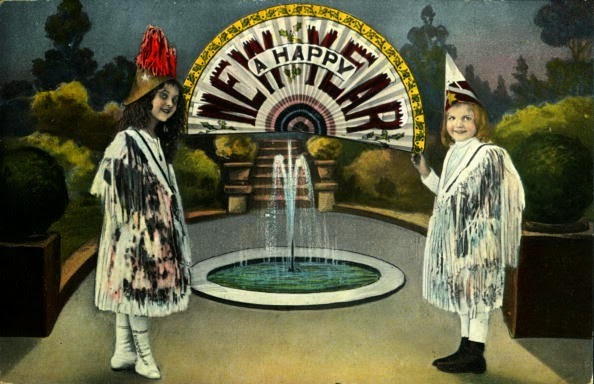 "A strange holiday new year's greeting with two costumed girls standing in front of a fountain holding an unfurled fan that reads 'A Happy New Year', 1920." via Transcendental Graphics/Getty Images. Support Morbid Anatomy with your End of Year Giving! 2014 has been a remarkable year for Morbid Anatomy, with the launch of the Morbid Anatomy Museum and our critically acclaimed inaugural exhibition "The Art of Mourning;" the release of The Morbid Anatomy Anthology; hundreds of lectures and events; and amazing, educational field trips to such disparate places as Mexico, Amsterdam, Baltimore and Barcelona. We could not have done any of this without our fans and followers. And we thank you. If you appreciate our programming, please consider supporting Morbid Anatomy in your end of year giving! Every year, museums such as ours rely on annual fund donations to underwrite exhibits, fund programs, and to pay staff. If all of our followers donated $5, we would meet our funding goals for the year. We have already done much to advance the Museum’s exceptional programming and expand dramatically its reach within the community of rogue scholars and intrepid admirers of the extraordinary. Our future is bright, but we are depending on the goodwill of people like you to make this first year happen. 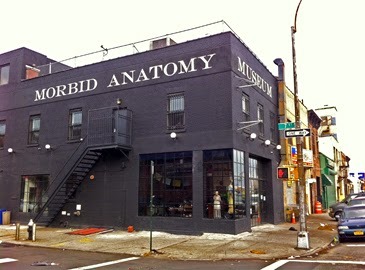 Please consider supporting Morbid Anatomy in your end of year giving! You can make a secure--and fully tax deductible--donation online via our fiscal sponsor Brooklyn Arts Council by clicking here. Thank you again for all your support, and here's to an even more amazing 2015! 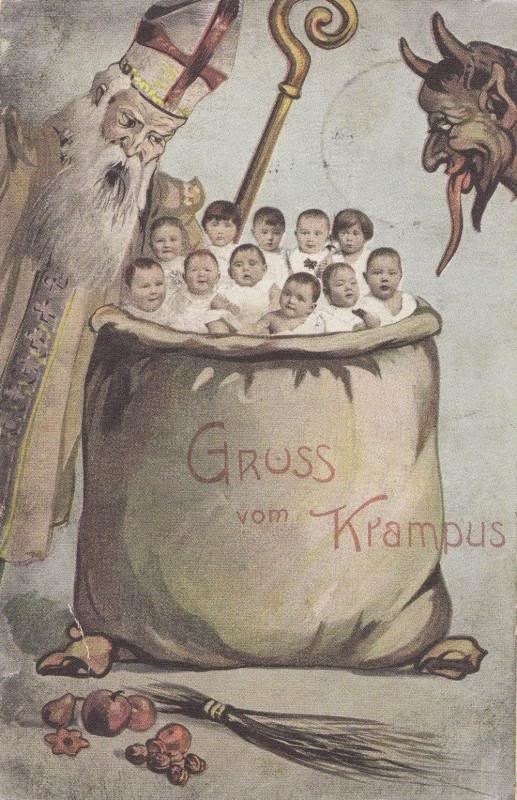 Merry Christmas and Happy Krampusnacht From Your Friends at Morbid Anatomy! even at local Burger Kings. Each year, we at Morbid Anatomy honor Krampus in the form of gifts, apparel and parties. To see photos from last Saturday's annual Morbid Anatomy Krampus costume party, click here and here. To purchase special Morbid Anatomy Krampus gifts, click here.